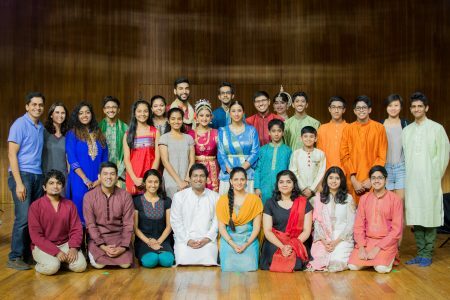 Join the largest global network of students, performers and connoisseurs of Indian arts. The IndianRaga Membership offers significantly discounted access to Certification, Contests, Webinars, Raga Labs, Fellowship, Online Course Library to open up our entire ecosystem to you as a valued member. Learn more from this Membership Brochure, or write to us at info@indianraga.com if you have any questions. Now Yearly Membership Plans at very Special Rates! Please choose a username for your IndianRaga account. If you already have an IndianRaga account, please sign in to your account before proceeding with filling up the form. If you don't have an account, one will be automatically created for you using the username above. You will receive more details about the account once you submit this form. The gold plan costs $29/month or @299/year and includes a certification every 4 months.. The silver plan costs $19/month or $199/year and includes a certification every year. All plans include one free entry every month to the IndianRaga monthly contests. 1. This is your monthly/yearly subscription fee. Once you click 'Submit' below, you will be redirected to a Paypal page where you can complete your registration by entering your payment information. 2. You need to be registered with PayPal to avail this subscription facility. Please note that the monthly/yearly subscription renewal fees will be charged automatically to your paypal account every month/year. You need to go to paypal and cancel it, if you want to cancel the membership. 3. Your registration will not be complete until the payment is confirmed. 4. Fee is non-refundable. Certification fee of $100 will be charged if monthly subscription is cancelled before completing one year.